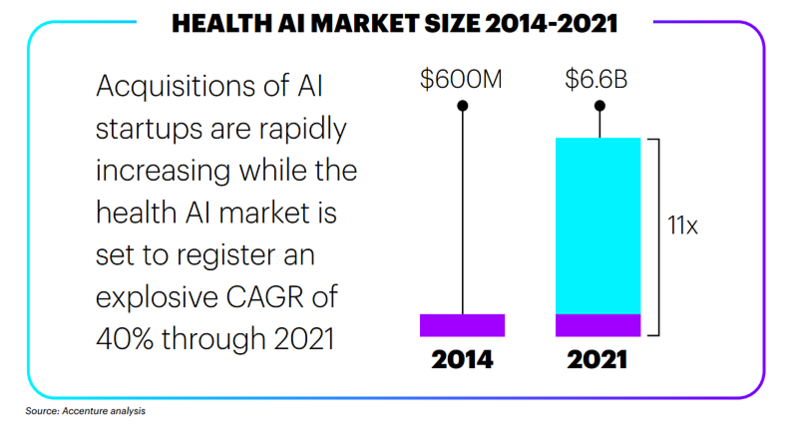 Advancements in artificial intelligence (AI) are moving at an explosive pace: from 2014-2021 the Health AI Market is predicted to have a Compound Annual Growth Rate (CAGR) of 40%- jumping from $600 million to $6.6 billion.2 Although the applications of AI are virtually limitless, the healthcare industry is one of the key areas that can benefit from these emerging technologies. This article will list three essential applications & benefits of AI in along with how these changes are set to optimize the future of patient care. Currently, the healthcare analytics market is projected to be work $24.55 billion by 2021. It is easy to imagine how predictive analytics in healthcare can lead to proactive and personalized care (leading to prevented re-hospitalizations and untreated conditions). An example of this is when a hospital in San Diego implemented a software designed to analyze EHR to identify patients with a high risk of drastic declines in health. Remarkably, the system was able to demonstrate "predictability within 80 percent accuracy whether a Rapid Response call is likely to occur in the next hour" 3. In turn, this allowed Rapid Response teams to be stationed at key locations around the hospital and offer proactive care to patients. This saved lives while preventing any additional trauma caused by drastic declines in health for lengthy periods of time. Healthcare experts agree that there is an extreme inefficiency between the storage and utilization of patient data, with "less than one in three U.S. hospitals can find, send, and receive electronic medical records for patients who receive care somewhere else".4 Artificial intelligence (AI) can enhance patient data management through the deeper analysis of data already stored within patient records. By using this system, the software can identify if a medical professional or organization is making repetitive mistakes or missed treatments in order to improve patient care and avoid potential mistreatment or unnecessary patient hospitalizations. 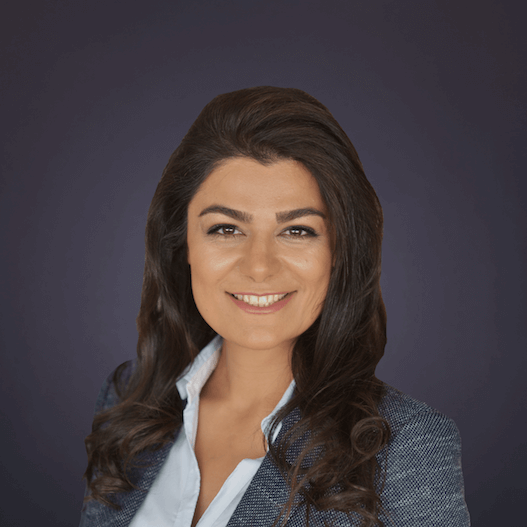 Another example of how artificial intelligence is being used in the field of dermatology is through the use of content-based image retrieval (CBIR) through features like DermEngine's Visual Search. 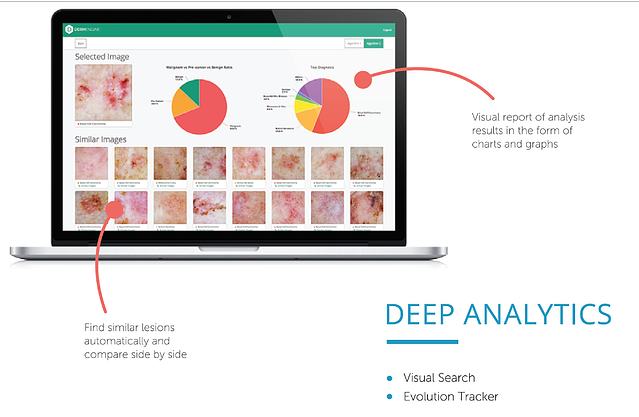 This intelligent dermatology software specializes in identifying skin cancer images and providing the medical professional with visually similar images, along with the top diagnoses and risk of malignancy of these past cases. This dermatology app utilizes deep learning & image processing technologies to support medical professionals in their clinical decisions, and is a valuable tool for new or training physicians wishing to specialize in skin cancer. Alone, any one of these applications holds the potential to forever alter the way healthcare technologies is utilized by medical professionals and provided to patients. However, used together, this paves the way for the development of a revolutionized healthcare system based on proactive care, personalized treatment, and efficient patient data organization and management. For example, one study states that AI holds the potential to improve outcomes by as much as 40% while reducing treatment costs by nearly 50% 6. These precision and efficacy enhancements will lead to decreased error rate and misdiagnoses while providing simplified access to patient records. Together, these two aspects hold the potential to reduce hospital re-admissions caused by misdiagnoses. Although still in its infancy, it is clear that intelligent healthcare solutions are set to benefit every aspect of digital health technologies for both the providers and receivers. Interested in seeing how DermEngine can be used to enhance and optimize your practice? Sign up for a 30-day free trial our intelligent dermatology/ dermatoscopy software today.